Sunday morning, shortly before the start of the weekly cabinet meeting, Major-General Yoav Galant's telephone rang while he was in a meeting. He took a look at the phone, saw that the call was from a private number and decided to answer. On the other end was Defense Minister Ehud Barak. "Hello Yoav, it's Ehud. I would like to congratulate you. I have decided to appoint you chief if staff. I am going to announce it at the cabinet meeting today," Barak said. Moments after that conversation, the phone rang again. This time it was IDF Chief of Staff Gabi Ashkenazi. He congratulated his successor, wished him luck, and promised him that the mentoring period would be full and comprehensive. Galant thanked him, and only then phoned his wife Claudine and his mother Fruma to give them the news. After the phone calls he went on with his meeting as planned. This is Galant, his subordinates say – a military man who does not lose his cool at times of crisis or at times of joy. In 1995, a serious training accident occurred in the Flotilla 13 unit. Ran Kimhi, 20, one of the unit's commandoes just weeks away from completing his course, drowned during a night diving training session. The unit's commander at the time was Yoav Galant. Last February, 15 years after Kimhi's death, Ran's father, Amir passed away. Galant, now Southern Command chief, left the heated front for a short time and went to the military cemetery in Kiryat Shaul to pay his last respects to the father of the fighter he had lost. "That's Galant," his friends say. "His heart doesn't allow him to forget anyone." Galant, who will turn 52 this November, has served as Southern Command chief for the past five years. He was born and raised in Jaffa, to Fruma, a nurse and Holocaust survivor who arrived in the land of Israel on the SS Exodus before the State's establishment, and Michael, who fought in the Givati Brigade's Samson's Foxes Unit. The father, who took part in the liberation of the Negev during the War of Independence, named his son Yoav after the historic operation. Galant spent his early childhood in Jaffa, in a tiny apartment with his grandparents. His father worked on an oil drilling site, then as a truck driver, and later opened a shop for repairing electrical appliances. When Galant was 17 his father passed away, and he was forced to sleep on a mattress in the store to protect it from robbers. He has told friends that these were magical years. Galant started his military service in the Flotilla 13 unit and took part in countless dangerous operations on enemy territory. After some six years of service he left the military and traveled to Alaska, where he worked for two years as lumberjack. Upon his return, he joined a course for seaman, and after serving on a missile ship, he returned to Flotilla 13 as commander of its combat company. One of his direct commanders was former Navy Commander and current President of Rafael Advanced Defense Systems Major-General (res.) Yedidya Yaari. "I love Yoav," Yaari said on Sunday. "He will make an excellent chief of staff. He is a man with exceptional abilities, with good leadership skills and the ability to manage large campaigns under stressful conditions. He has exceptional intellectual capabilities. He is a man blessed with many talents. I know him from the nights in which very many of these abilities were demonstrated, and under difficult conditions. I am very pleased with this choice." Former Navy Commander Major-General (res.) 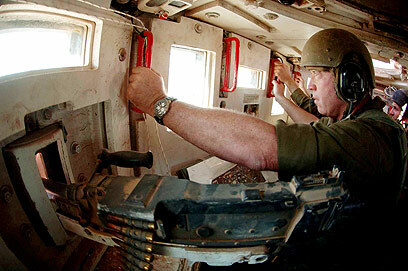 Ami Ayalon, who led Galant on many of Flotilla 13's operations, summoned him for a meeting in 1992. "In two years, you will be appointed commander of the unit," he informed him. In the meantime, Ayalon offered Galant time off to study in Boston. Galant rejected the generous offer. "In these two years," he told Ayalon, "I prefer to become a brigade commander; to get to know the ground forces from up close." 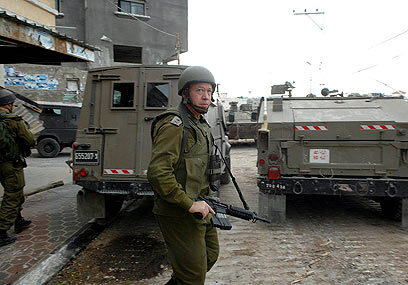 The IDF complied with the unusual request, and Galant was appointed as the Jenin brigade commander. In 1994, Galant assumed the post of commander of the Flotilla 13 naval commandoes. After a three-year tenure as commander, Galant was appointed as the Gaza Division commander, and in 2002 he became then-Prime Minister Ariel Sharon's military secretary. Back then, Galant made history when he became the first major-general to grow in the Navy but receive his major-general rank out of the Navy. On Sunday he made history too, by becoming the first army chief to come from the Navy. The chemistry between PM Sharon, the veteran, experienced fighter and his new military secretary was wonderful. The two struck a very close relationship, and many observers pointed to the similarities between the two – the determination, unwillingness to give up, sense of humor, their love for Israel, and more. The prime minister held the skilled commando in great esteem and trusted his recommendations almost blindly. In 2005, after completing his tenure as military secretary, Galant became the IDF Southern Command chief. In this role he managed two of the army's most successful operations against Hamas terrorists in the Gaza Strip: Operation Warm Winter in 2008, and Operation Cast Lead in 2009. However, IDF soldier Gilad Shalit was abducted on Galant's watch. Galant grew at sea, in Flotilla 13. This is his true love. Saturday morning, a few hours after the "Galant document" was exposed by Channel Two, Galant went kayaking for long hours. He told his close associates that he had nothing to do with the affair and that its only aim was to sabotage his army chief race. Galant's friends speak of an officer and a gentleman; a painfully sensitive man who spends much of his time supporting bereaved families. During Operation Cast Lead, Galant had the chance to visit IDF soldier Izy Azgy, who lost his hand. Azgy has no family in Israel and Galant has made him a part of his family. "We meet often and it gives me strength, especially with everything I've been through," said Azgy. "He's a good person. I haven’t seen anyone else of his rank that takes the time to talk to people like me. He really does care." Galant also formed a special relationship with Colonel Shlomi Dahan, who arrived at the GOC Southern Command from the Navy Commando. Dahan was supposed to be named the elite naval unit's commander, but was in a serious car accident, from which he never fully recovered. Galant is known to visit him often. While his subordinates know his door is always open to them, Galant is also a though military man, who demands iron discipline. He is also one of only a handful of high-ranking officers to actively be present and participate in military drills on the ground. His fellow majors generals say that he is one of the few to speak his mind and fight for it in General Staff meetings. "I met him when I was a junior officer. He is a true leader and a military man both in theory and in practice. He makes sure to keep in excellent touch with his officers and soldiers," an officer who served under Galant said. Galant's wife, Claudine, is a former Navy lieutenant colonel and a cancer survivor. The two, who live in Moshav Amikam, near Zichron Yaacov, have three children: A son who is an officer, a daughter who just begun her military service and another daughter, who is still in high school. The Galants have been living in Amikam for about a decade. The small community – numbering just 150 – celebrated the nomination in their own modest way, hanging congratulations signs on the family's street and driveway and sending flowers. "Yoav is a true friend and an honest man, a man of values," said neighbor Ilan Schwartzberg. "These past few of days have not been easy for him and it feels as if someone was trying to frame him. The decision to name him the next chief of staff proves that there is justice. There is a God." See all talkbacks "Yoav Galant's race to the top "